Several clones of this species have been introduced to Japan between 1979 to 1980 from Hunan,Kwangsi,Yunnan, and other provinces. 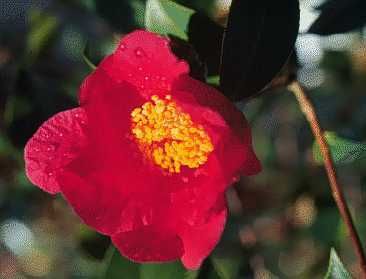 Flowers:Bright-red,6-7 petals,6-8cm in diameter.Flowering in February to March. 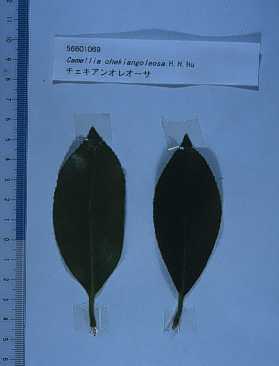 Leaves:Elliptic,to oblong-elliptic,8-12cm long and 3-5cm wide,green, relatively less shiny. Venation is obscure. This species is cultivated mountainous areas of south-east China as oil plants. 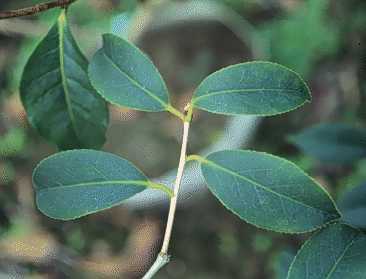 Because of its glabrous ovary, this species can be more closed to C.japonica compare to other Chinese species. As flowers have bright color, it is interested as breeding materials.